This pocket-sized Concise English-Chinese Chinese-English Dictionary (Fourth Edition) is based on its highly popular acclaimed first edition. Thousands of additional words and phrases reflect scientific and technological innovations, as well as changes in politics, economics, culture, and society. This new dictionary retains all the merits of the first edition, while offering new features and expanded, up-to-date coverage to make it an essential, easy-to-use and authoritative reference tool for all Chinese-speaking learners of English and English-speaking learners of Chinese. 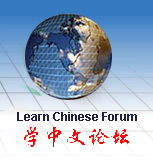 Pinyin Romanization, simplified and traditional Chinese characters and examples of the word’s usage accompany more than 20,000 word entries. "This little red book was invaluable for me on my very first trip to China – when I didn’t speak a word of Chinese and backpacked to small towns where nobody speaks English. Its Pinyin pronunciation system actually allowed me to talk to baffled Chinese and find my way around China!" - Joachim, former global traveler.